YOU'VE DREAMED of the opportunities an additional degree or credential could provide, as well as the joy of new and exciting learning experiences. Careful financial planning, hard work, and intelligent decision-making can make these dreams come true. For practical advice about financing your education, read on. On average, publicly supported colleges and universities are less expensive than private schools, but financial aid options may significantly affect total costs.1,2 If quality and the transfer of credits can be guaranteed, earning credits or a degree from a less expensive accredited college program is a great way to reduce education costs. Another option, online or distance-based coursework, can reduce or eliminate the costs of transportation, parking, and child care. Besides tuition and fees, costs also include books, room and board (unless you can commute from home), supplies such as a laptop and uniforms, child care, and transportation.2 Reduce your costs for books by renting, borrowing, or purchasing them used; do this early since supplies are usually limited. Also, some online textbooks cost less, so look into this alternative system. Ask the instructor, program director, or librarian if he or she has any loaner copies. After the class is over, you can recoup some costs by reselling (through the college bookstore or online sites) or renting out texts you no longer need. Of course, take advantage of any student discounts offered through your university for computer hardware and software needed. You can reduce your transportation and parking costs through carpool and campus transportation programs such as campus buses and free park-and-ride options. Some healthcare institutions have made arrangements with selected colleges or universities to hold classes to meet degree requirements right on the hospital campus to make earning a degree (BSN or MSN) more convenient for employees. Reduce short- or long-term housing costs (for example, when out-of-town precepted clinicals are required) by commuting from home or living with relatives, friends, or fellow students. One creative way to "earn" free housing is to provide part-time in-home companion or nursing care in exchange for free room and board. Search campus and local newspaper ads or ask your program's director for contacts. Working in a part-time health-related position during school is a great way to remain focused on your goals, earn money, preserve any employer-based financial assistance requirements, obtain hands-on experience, and secure employment after graduation. Whatever you take on, don't jeopardize your education success by working more hours than recommended by the program's advisors. Learn as much as you can from schools' and programs' websites. Look for links for course planning, financial aid, and scholarships. Talk to as many people as you can about each program you're considering, then narrow your choices to three. Schedule site visits as well as face-to-face appointments with program and financial aid advisors to get a good feel for the program and the school's financial requirements. If possible, choose accredited programs and schools that are located within commuting distance so you can save on housing and travel costs. Keep your future clearly in view as you plan your program. Check carefully that program credits will transfer and degrees will be recognized by employers, nursing licensure boards, and institutions where you may seek more education in the future. Sources for financial aid, including your employer, will consider the school's reputation and accreditation status. Plan your course schedule carefully. For example, if you're earning a baccalaureate degree in nursing and intend to earn your master's after graduation, choose pre- and co-requisite core courses that meet the requirements for both programs. You'll also need to maintain an excellent grade point average so you never spend time and money repeating a course. Make sure that you'll be able to complete the program in the time advertised. You don't want to discover too late that a required course is offered only once every 2 years and you missed taking it because you haven't taken the prerequisite! You can also reduce time and costs by testing out of requirements or courses. Ask the school's representative which and how many College Level Examination Program (CLEP) credits you'd qualify to take, if any. For example, when I chose to continue my nursing education and earn my baccalaureate degree, I found I needed eight humanities credits to graduate. Rather than enrolling in the courses, I "earned" all eight by taking CLEP exams. CLEP exams aren't free but can provide great savings of time and money. Visit http://www.collegeboard.com/CLEP for more details. You also may be able to test out of certain requirements. For example, your baccalaureate program may require you to take any college-level math course (such as pre-algebra, algebra, or statistics) for graduation, but the master's program you'll attend following graduation has a statistics course as a requirement. The published prerequisite for statistics at your baccalaureate program is algebra or a certain math score on the entrance exam. If possible, pass the math exam requirement and take the statistics class. You'll save time and money in the long run, and that statistics class will help you decipher nursing research articles as well. Begin planning for education costs by meeting with your current employer. Meet with the person responsible for making decisions about education assistance, if possible. As a dedicated employee, you've already proven yourself, and the additional education you seek will directly benefit your employer and your patients. Employer-based financial support may include tuition reimbursement (often repaid in service after graduation), child care services, loan forgiveness programs, loan repayment programs, foundation grants, pay-back grants, and scholarships. Some employers offer scholarships in return for a commitment to remain employed for a specified period after graduation. Here's yet another option: If your spouse, parent, partner, or other family member works for a college or university, ask him or her to look into possible tuition assistance from that school. A colleague of mine worked for a private university and as a benefit, received full tuition forgiveness for all four of her dependent children. Nurses working in public service or severely disadvantaged areas may be eligible for loan forgiveness programs after graduation and licensure. To see if you might qualify, learn all you can from current or potential employers. Grants and scholarships don't need to be repaid, so before getting a loan, seek out all possible scholarships from affiliations with a business, city or state, workplace, nursing, nonprofit, or community organization as well as spiritual and worship centers. Though grants are most often need-based, scholarships usually have a formal application process that includes qualification requirements (such as financial need).5 Apply early and often for any scholarships from regional or state nursing home or hospital associations. Much aid is available for students enrolled in nursing programs. Even a few hundred dollars can make a huge difference.5 Ask the school and program representatives what specific academic or need-based scholarships and grants might be available for nursing majors. Consider all special groups for which you qualify, such as those for students who are nontraditional, older, or disadvantaged, or pursuing certain specialties. For instance, many scholarship programs offer tuition help for nurses planning to be nurse educators. Professional nursing associations often provide grant support for graduate or doctoral research projects. The "College Preparation Checklist" (http://studentaid.ed.gov/PORTALSWebApp/students/english/checklist.jsp) is a good general reference, and the link for nontraditional students is a great read. See http://studentaid.ed.gov/PORTALSWebApp/students/english/returning.jsp. Here you'll learn more about important considerations before and during school plus loan repayment requirements once you finish. This excellent government web resource is packed full of excellent advice. If you're willing to sign up for military service, active duty, or military reserves, you may be eligible for sign-on bonuses, scholarships, loan repayment, and/or tuition reimbursement plans.6 If you're choosing a baccalaureate nursing curriculum, your school may have an ROTC program, so give your local recruiter a call and discover what's available. If you're a military veteran, contact the nearest veterans' services office or better yet, the school's veterans' center. Under the GI bill, you may be eligible for up to 36 months of education benefits that include tuition, fees, books/supplies, and monthly allowance. If you're a spouse or child of a veteran or active duty military person, you may also be eligible for education assistance as a direct or transferred benefit.7 Again, the best source of information is the veterans center at your school or community-based veterans services office. Because good grades are the key to graduating on time, plan to use your time efficiently. I strongly recommend audio-taping lectures (after asking your instructor for permission) and your own spoken study reviews and then listening to them while completing chores. Carpool passengers can form study groups; quiet study time can be achieved by trading childcare with peers. Once you've graduated, your preplanning will pay off! You'll need to fulfill whatever obligations you've promised and pay back any student loans. Of course, you'll want to continue economizing so that you're in a financial position to pay back any debt you've accrued. Your dreams of further education are within reach. By taking full advantage of all financial support available, many nursing education possibilities are waiting for you. Good luck and good fortune! College Loan Corporation. 101 ways to pay for college. 2011. http://www.studentbank.com/featured/101-ways-to-pay-for-college/. Free Application for Federal Student Aid. http://www.fafsa.ed.gov. Financial Aid Resource Publications from the U.S. Department of Education. http://www.FederalStudentAid.ed.gov/guide. Jacksonville University. How to pay for nursing school. 2011. Bisk Education. 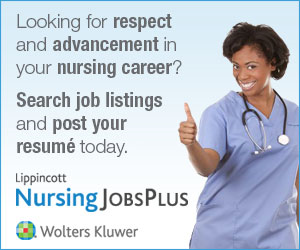 http://www.jacksonvilleu.com/nursing-degree-resources/how-to-pay-for-nursing-sch.